We thank the Lord for entrusting CCC with the task of helping the Cambodian church to establish a Christian college and business institute. We want to offer Cambodian Christians a high standard of education that will help them serve God in their churches and be salt and light in their communities, but we also want to see non-Christians attending courses at the college and meeting the Lord Jesus through the witness of Christian staff and students. Timothy College and Business Institute will offer a general education, with courses in subject areas that are appropriate to the needs of Cambodia as it develops, and it will compete with other private colleges and universities in the country, providing accredited qualifications that are recognised internationally. The college will equip Cambodian men and women to uphold ethical standards in business and commerce in Cambodia's challenging culture of corruption and nepotism. It will be a institution with a Christian foundation, it will uphold Christian principles and it will come under the authority of the Cambodian church, but it will not be a Bible college. Why will the college be set up? To offer Cambodian people a high standard of education consistent with Christian values. This aligns with Cambodian Communities out of Crisis' aim to "prepare God's people for works of service" (Ephesians 4:12, NIV). What is the task that the college will carry out? Providing education and business skills of the highest quality in the name of Jesus Christ. What do we see God doing in and through the college? Cambodian people attaining a high standard of education, fully commensurate with the ability that God has given to them. College staff and Christian students freely able to share the gospel with students who do not yet know the Lord, resulting in the making of disciples of Jesus Christ. The college setting standards in academic excellence, quality of teaching, value for money and ethical conduct of business. The college becoming self-sufficient, operating under local management without the need for assistance or subsidy from outside Cambodia. What will be important to the college? By what tests will it assess what is relevant, worth doing, working or not working? 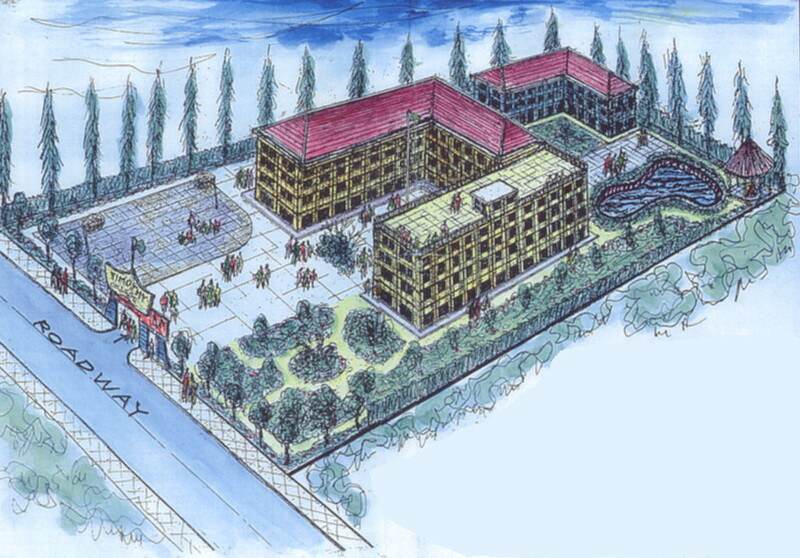 Our first priority is to raise funds for the purchase of a site for a campus. 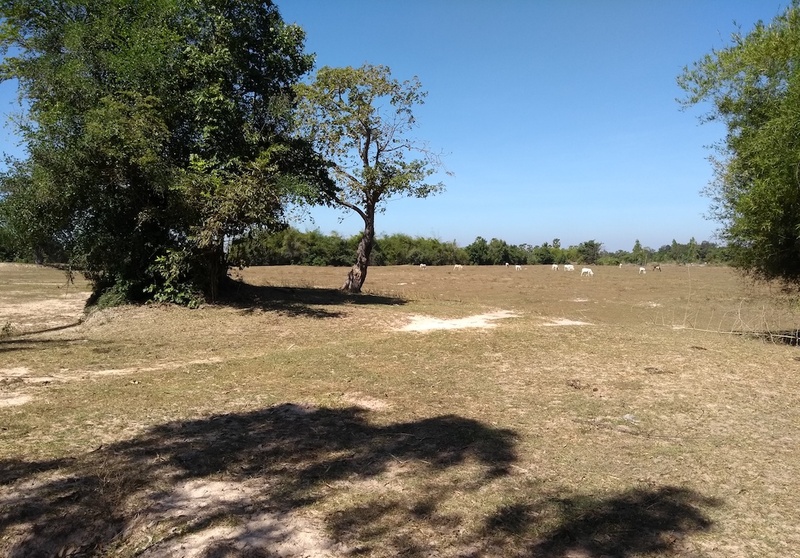 We have in mind a site just outside Phnom Penh, the capital of Cambodia: close enough to the city to be assured of good access roads, communications, electricity and water supplies, etc, as the city expands, but in an area where land prices are still reasonable. Our proposed site is 26,000 m² in size and could cost about US$300,000. Cambodian churches will make a contribution according to their means, but most of the money will need to come from outside the country. Please consider investing in Cambodia's future by contributing to this project. We are parcelling up the land into £5 plots, so why not buy one, ten, a hundred, or more plots and then give them away to the Cambodian people? Please contact us for further information, or go direct to our giving page to see how you can make a donation today.